This lion sculpture was carved from Carrara marble. This lion was sculpted by F. Romanelli, to imitate the Medici Lions that are displayed at the Loggia dei Lanzi in Florence, Italy. The lion's left forepaw rests on a ball. 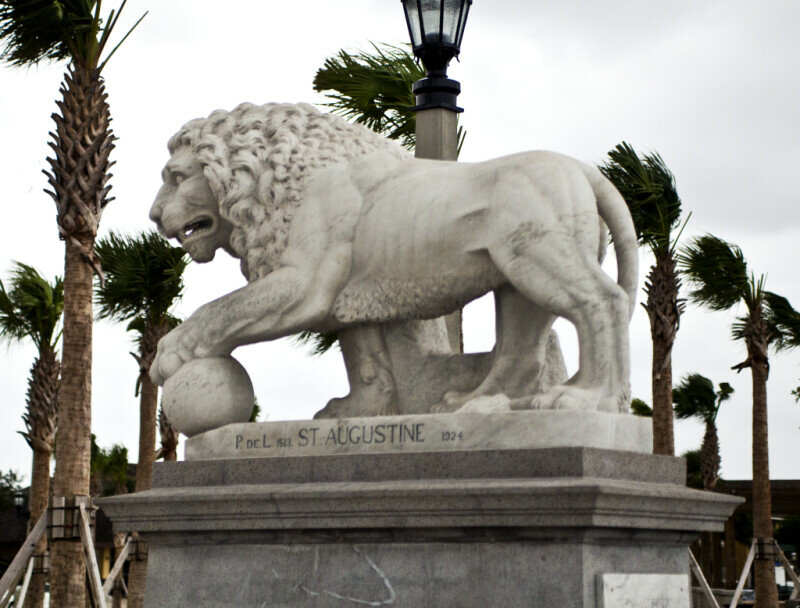 This lion is one of a pair that guard the west end of the Bridge of Lions, which is listed on the National Register of Historic Places.